Members of St. Mark's are encouraged to give of their time, talent, and resources for the benefit of the church, the world, and our lives. Our goal is to be witnesses of proportional giving, understanding that everything we have already belongs to God. Join us as we strive to be a joyful offering to God, the Church, and the world. Fill out the web-form below to make your pledge. 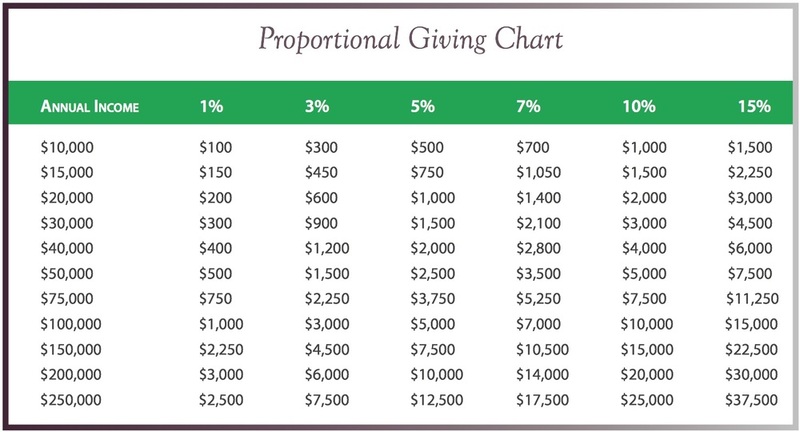 The following Proportional Giving Chart might be helpful in your discernment. All address fields are required including the country. I / We would like giving envelopes. Please contact me about Planned Giving options. Please add my email address to the Evangel Newsletter. Mahalo for submitting your pledge to St. Mark's. We are grateful for your support of our ministries.